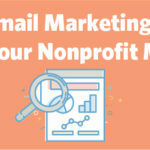 ﻿ Which Email Marketing Metrics Should Your Nonprofit Measure? » Red Mango Marketing! « What Is A Good Open Rate For Email? Dive deep into your email marketing metrics and efforts, and dig out all the reasons, clues, and facts that point you in the right direction of better email marketing. Email marketing metrics are your nonprofit’s biggest tools to increasing supporter engagement. The post Which Email Marketing Metrics Should Your Nonprofit Measure? appeared first on Constant Contact Blogs. This entry was posted on Tuesday, September 25th, 2018 at 8:36 am	and is filed under Email Marketing, News & Updates, Nonprofit. You can follow any responses to this entry through the RSS 2.0 feed. Both comments and pings are currently closed.